The Premier League continues its congested schedule with a full lineup this weekend following a midweek Matchday 15. Manchester City continues to pull away from Liverpool, sitting atop the table with 41 points after 15 games, while Liverpool is in second with 39 points after 15 games played. Unbeaten Manchester City head to London to take on fourth place Chelsea in the match of the week. Manchester City has a two-point lead at the top of the table, and a loss to Chelsea could see Liverpool move into first place. Pep Guardiola’s side has been unstoppable when it comes to hitting the back of the net, scoring a league-high 45 goals this season. 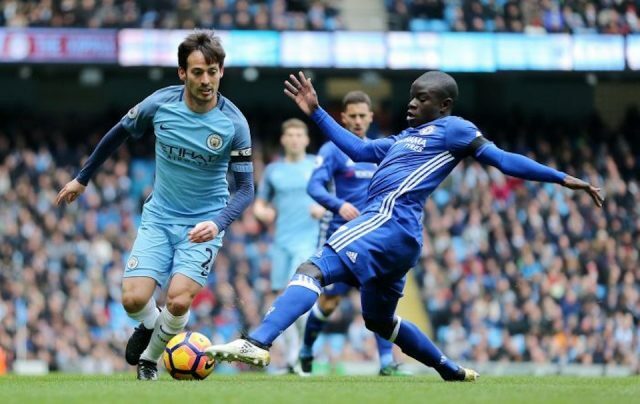 City comes into the game off a 2-1 victory at Watford, where the Citizens were able to pull away with an easy victory with a rotated side. Chelsea suffered a disappointing 2-1 loss to newly promoted Wolves, giving up two goals in four minutes and dropping three points in the midweek fixture. Chelsea has lost two of their last three home games against Manchester City and will need a result to hold a top four position being tied in points with Arsenal. The match kicks off at 12:30 p.m. EST on Saturday. The first match of the weekend sees the second place Liverpool go to Vitality Stadium to take on seventh place Bournemouth. Unbeaten Liverpool sits two points behind aforementioned Manchester City and a win against Bournemouth would give the Reds a big chance at moving to the top of the table or keeping up with the unstoppable Citizens. The matchup away against Bournemouth will be no easy task for Liverpool, as the Cherries play well at home against top Premier League teams. Liverpool comes into the game after a 3-1 victory over Burnley with a rotated side, and the three points gained at Turf Moor marked the best start to a Premier League season in Liverpool’s history. Bournemouth beat Huddersfield Town 2-1 in the midweek fixture, ending a streak of four consecutive losses for the Cherries, moving them level on points with sixth place Everton and eighth place Manchester United. The match kicks of at 7:30 a.m. EST on Saturday. Leicester City hosts Tottenham Hotspur at the King Power Stadium in the final match on Saturday. Tottenham sits in third place, two points above London rivals Chelsea and Arsenal and six points behind Liverpool, while ninth-place Leicester is only one point behind Everton, Bournemouth, and Manchester United. Each team needs points to continue a successful run in the Premier League. The hosts come into the game off a 1-1 draw to relegation battlers Fulham, drawing the game level off a late James Maddison equalizer. Leicester City is unbeaten in their last six Premier League games, winning two and drawing four, losing their last game to Arsenal on October 22nd. Tottenham’s midweek game was a 3-1 victory over 18th place Southampton where the Spurs cruised to an easy victory at Wembley. The match kicks off at 2:45 p.m. EST on Saturday. Arsenal vs Huddersfield Town, 10 a.m. EST. Burnley vs Brighton & Hove Albion, 10 a.m. EST. Cardiff City vs Southampton, 10 a.m. EST. Manchester United vs Fulham, 10 a.m. EST. West Ham vs Crystal Palace, 10 a.m. EST. Newcastle vs Wolves, 11 a.m. EST. Everton vs Watford, 3 p.m. EST.